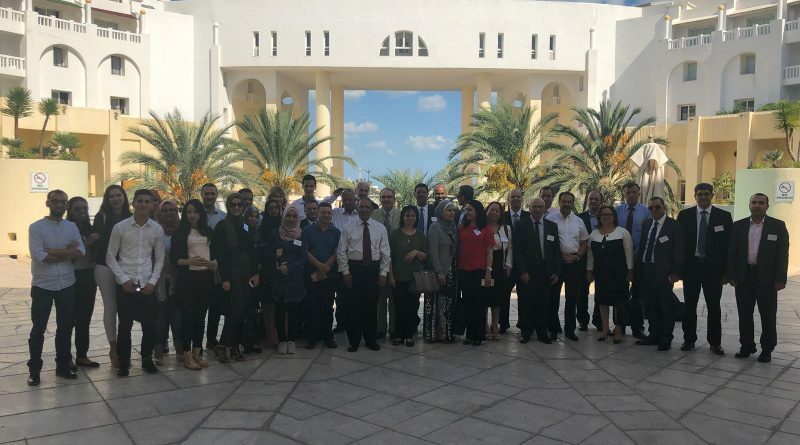 With International and local participation; on Saturday & Sunday, September 29&30, 2018 ,in Hammamet, Tunisia, the MED-HEALTH final conference covered a wide range of topics about Public Health:Regional perspectives in public health ,Public Health Education ,Epidemiologic Inference in Public Health ,Humanitarian Relief and Health ,Public Health Policy ,Environmental Public Health ,Epidemiology and Public Health ,the Health Care Systems ,Information Technology and Public Health ,Social, Cultural and Behavioural Aspects of Public Health ,Quality & Safety in Healthcare ,Equity Issues in Public Health , and the Role of PHM Education through the established Master Degree programme on Public ; The main focus of the conference was explaining the sustainability of the initiative and future plans of the MED-HEALTH ,Erasmus+ project and to promote the importance of its ongoing nature and its utilisation within the Mediterranean region. Furthermore, the Conference will provide a platform for the award ceremony for the Master students. Participants from Palestine, Jordan, and Tunisia , and resource persons from UK, and Spain :EU Partners , involved in this conference activities. Participants acknowledged the organization and the implementation of the program. The all participated in the opening ceremony and gave blessings to the activities which were lasted for two full long days. The MED-HEALTH International Conference was an innovative and informative International Conference reflecting the direction of Public Health Management Studies , offering a wide range of diversions to participants of all backgrounds.created a great platform to discuss current landscape and next steps for improving quality of public health studies in MED region. The conference brought together leading academicians from partner country universities, master students, clinicians, public health professionals, health care specialists, health care workers, health economists, researchers, scientists, health workers, policy makers, social workers and other related professionals. The conference gathered renowned speakers from regional and EU partners, presentations, panel discussions, round table discussions, and valuable networking opportunities. The Conference served as an international forum for the exchange of knowledge and experiences on key public health issues, contributing towards promoting public health at a national, regional and global level.